16 Feb - Jennie tells us what it's like to ski, in Spain! So, you can ski in Spain? Yes indeed. The Spanish Pyrenees are still a somewhat lesser known ski destination for us Brits, but in no way is Formigal’s skiing substandard. The snow certainly faces up to the resort’s more renowned alpine competitors in terms of both quality and quantity, as does the range of slopes. With lots of long wide blues and reds to please even the fussiest of intermediates, two nicely shaped snow parks with a range of modules, and a large in-bounds freeride area for powder addicts that would prefer to stay within the reach of rescue, Formigal has something for all tastes. Beginners have some nice nursery runs lower down, and learner snowboarders will be happy to know that they can be gently taken to the top of the nursery slope by a magic carpet (which, I’m told, is the longest in Europe) rather than having to battle with the dreaded button bar. There has been a lot of money pumped into the resort recently, which has definitely paid off. With most lifts being very modern and smooth, there is, happily, a distinct lack of calf bruising two man chairs. The investment extends to the mountain restaurants and bars too, all of which exude contemporary class. In terms of what you can consume in these stylish eateries, from tex mex, to pizza, to traditional Spanish fare, the variety is almost more exciting than the novelty of a mid-run drink in an igloo or tepee. Almost. The resort, fitting with Spanish tradition, is very family friendly. Children are allowed to accompany their parents almost everywhere and one hotel (the Hotel Nieve Sol) even offers a free ‘kids club’ for 6-12 year olds between the hours of 6 and 8pm, giving parents the time to recover from the hard days skiing with a ‘vino caliente’ (the Spanish Vin Chaud) in peace. Another attraction for Brits that have felt the pinch of the euro exchange rate that makes their lunch time tartiflette an expensive treat, are the prices. This is where Formigal really holds its own. With pints of beautiful Spanish larger costing just 3 euro and an extremely large G&T (trust me, you won’t need many) coming in at just 6 euro, you can really save on what you spend in resort. Or just drink/eat more of course. With huskie rides, snow tubing, and the opportunity to ride a button bar attached to the back of a snow cat, for free, to boot, there’s definitely enough to amuse for a week’s ski holiday. 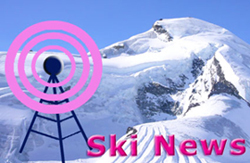 To browse holidays to Formigal, click here. And don't forget to watch our super cool video below!